If you are interested in pursuing your SHRM Certification, we’re excite to offer our members and non-members a 13 week study group. If you’re interested in participating in our GB SHRM Study group for the Spring or Fall Semester, please reach out to Jennine at jcolwitz@festfoods.com. The Spring Semester study group typically kicks off in February and our Fall Semester kicks off in September. The study group is typically held weekly on Thursday’s and runs from 6pm – 9pm. Each session is led by a facilitator (SHRM Certified) along with the SHRM Learning System. If you’re stuck between a self-guided study and our chapter study group - join our chapter sponsored study group as a member of GB SHRM – you will save over $200! 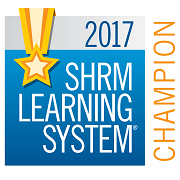 Our Chapter is able to pass the savings on to you through our SHRM Certification Champion chapter. *If you know anyone that is certified (SHRM CP/SCP, PHR/SPHR) and interested in facilitating a session with our study groups. We are looking for certified members to facilitate either spring or fall Semesters to help us. This would be a great way to volunteer and give back to our fellow Chapter members. As a SHRM Certification Champion chapter, below are a few helpful links to explore the SHRM certification site. 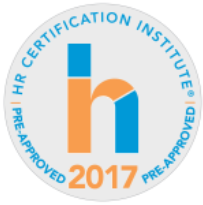 As you make our decision on pursuing a certification designation as an HR Professional, please reach out to our certifications committee with any questions. Interested in Obtaining your SHRM Certification?